Mark was appointed as the Chief Executive of AELP over 2 years ago. He is on the Board of WorldSkills Uk as well as a range of government boards such as the ESFA Advisory Board, IfA Quality Alliance and the DfE’s Apprenticeship Stakeholder Board. 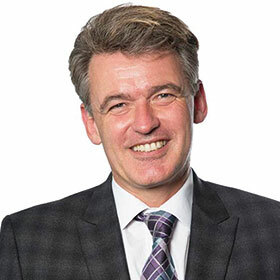 Most recently, Mark Dawe was the Chief Executive of OCR, the exam board, for 5 years. He has been a governor of primary schools, secondary and a further education college. Mark has a wealth of experience across a broad spectrum in the education field. Prior to his role at OCR, Mark was Principal of Oaklands FE College (and AELP Board Director) having been Deputy Director, FE Strategy at the Department of Education and Skills and before that as Deputy Director, Adult Basic Skills Strategy Unit after joining the department in 2003. Having read Economics at Cambridge University before qualifying as a chartered accountant at KPMG, Mark joined Canterbury College, becoming Head of Corporate Services in 1994. In 2000, he helped set up eGS, an e-procurement provider to the public sector. He gets his grit and resilience from supporting Plymouth Argyle and Boreham Wood, cycling and four school aged children.